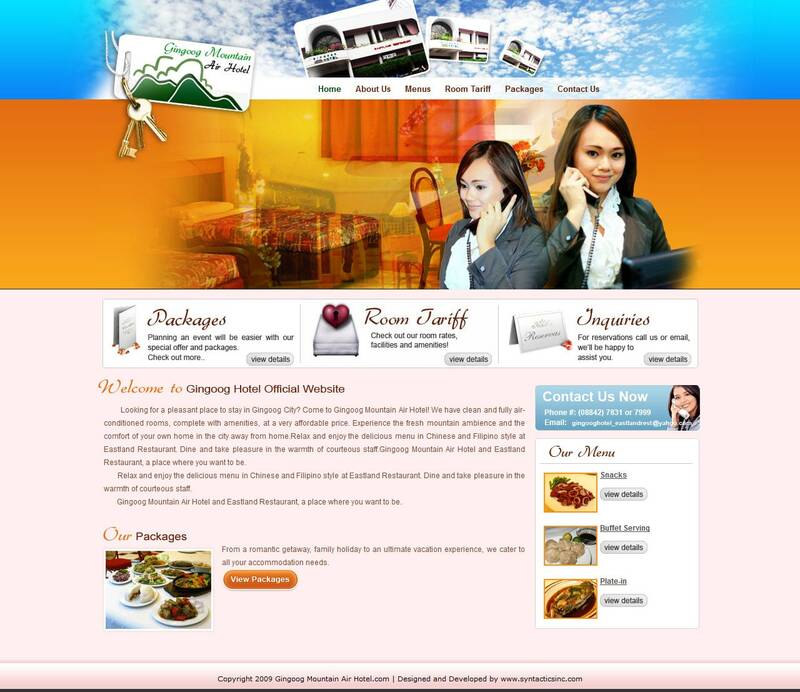 Gingoog City Hotel - Syntactics Inc.
Gingoog Mountain Air Hotel has been in business for over 13 years. It is the first and only hotel in Gingoog City. The hotel has 29 guest rooms. For meetings and special events, the hotel offers three fully air-conditioned function rooms that are completely furnished with modern facilities. The function rooms can accommodate up to 300 guests. An array of delicious menu in Chinese and Filipino style is being served in our restaurant located in the first floor of the hotel.